Apple built the high-excursion woofer with a custom amplifier to play a wide range of deep, rich bass. A powerful motor drives the diaphragm a full 20 millimetres — remarkable for a speaker this size. 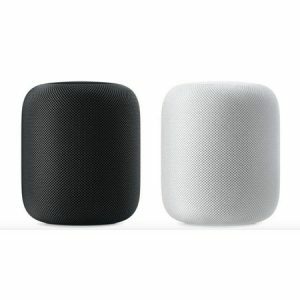 Meanwhile, HomePod uses an advanced algorithm that continuously analyses the music and dynamically tunes the low frequencies for smooth, immersive sound.